The trade-off between knowledge and privacy is a complex issue, particularly in the B2C space. 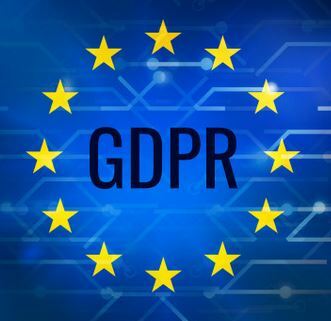 It is essential that you keep up-to-date with industry developments, but equally it is important that you feel confident that your personal data is safe, secure and not being shared with third parties - At The Eagle and Sun we are committed to ensuring that your personal data is being managed in a sensitive and compliant manner. The Eagle and Sun will be taking into account best practices as it builds strategies to communicate with clients and prospects. Providing a robust data management system in order to track engagement and honour ‘opt-outs’ will be a basic requirement for our programme. Meanwhile, by refining data and ensuring that our messaging is targeted and content is relevant, we will put ourselves in the best position not only to comply with the GDPR legislation, but stand a much better chance of building relationships with prospective clients. How does this new piece of legislation apply to B2C marketing? At present, most of the obligations under the DPA apply to firms carrying out B2C marketing related activities. However, there is currently one notable exception to this. At present, the Privacy and Electronic Communications Regulations (PECR), mentioned above, specify that B2C email marketing and similar activities would not have to obtain the express opt-in consent of any individuals whose personal data were involved in said activities to satisfy the individual consent ground for legitimising the processing of personal data under the DPA. Therefore, in the context of B2C marketing activities involving personal data, if individuals are given the option to opt-out this is sufficient to establish consent. So B2C marketing strategies will not be affected by this legislation? What can B2C businesses do ahead of May 2018? The Eagle and Sun will be taking into account best practices as it builds strategies to communicate with clients and prospects. Providing a robust data management system in order to track engagement and honour ‘opt outs’ will be a basic requirement for our programme. Meanwhile, by refining data and ensuring that our messaging is targeted and content is relevant, we will put ourselves in the best position not only to comply with the GDPR legislation, but stand a much better chance of building relationships with prospective clients.